Beautiful tones. Each morning going to work and again coming home I am greeted with beautiful tones, because of those tones I am reminded of all the beauty I must take the time to enjoy. Great sound, sturdy construction, tone is fantastic! We will eventually buy more. Only time will tell, but they look like they should last a very long time. 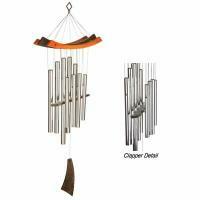 These are excellent wind chimes! 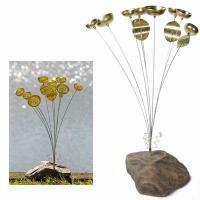 Expensive but worth the price! 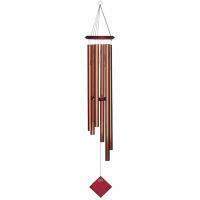 I have had this wind chime for about 6yrs and bought this one as a gift for my brother. He has admired it for years. It has a great sound and nothing matches it. People down the street actually think there is a church in the neighborhood! 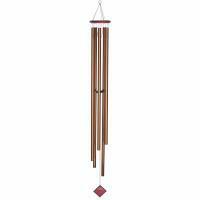 The chimes are great and very good quality!